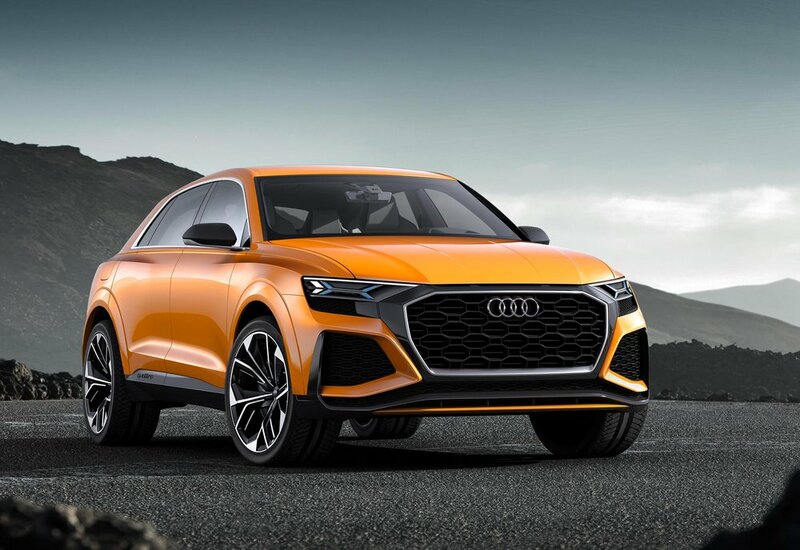 A new Audi Q8 sport concept was revealed at the Geneva Motor Show. For the first time, Audi is combining a 450PS 3.0 TFSI six-cylinder engine with an electric powered compressor and an effective mild hybrid system (mHEV) for recuperation. The 48-volt electrical system assures the supply of electrical power - called Electrically Powered Compressor (EPC) technology, it enables the Q8 sport concept to deliver a 476PS output with the efficiency of a four-cylinder equivalent. The Q8 sport concept has a 0-62mph time of 4.7 seconds and keeps going until it reaches its a top speed of 170mph. Meanwhile, its range of more than 745 miles ensures it is also suitable for long journeys thanks in part to its recuperation performance, offering an extra 20 kW. With a fuel economy advantage over a model equipped with a regular TFSI six-cylinder engine without the mHEV system, the concept's CO2 output also shows a 25 g/km improvement. The energy recovered can be used to increase performance, during boost operation – where the combustion engine and electric motor are used simultaneously – the extra 20 kW of electrical power and torque of 170 Nm (125.4 lb-ft) bring total torque up to 700 Nm. Positioned at the rear under the luggage compartment, the lithium-ion battery with an energy storage capacity of 0.9 kWh makes it possible to keep moving slowly in stop-start traffic with the combustion engine switched off, as well as allowing for manoeuvres and parking under electric power alone. During braking, efficient recuperation using the 20-kW-strong starter generator quickly recharges the battery to ensure that the vehicle can regularly be driven under electric power. When cruising, the electric technology prevents unnecessary downshifts and thus keeps the engine speed at a low level. Meanwhile, spirited drivers will appreciate the instantaneous delivery of power when exiting corners. With a wheelbase of three metres, the show car offers plenty of space for passengers and luggage despite a 'sloping, coupe-like' roofline. Up front, the octagonal Singleframe grille is a ‘sculpted piece’ and is significantly wider than in today’s Audi production models. Its surface has a honeycomb lattice structure overlayed with aluminium segments, whilst the surround is painted in a contrasting colour. 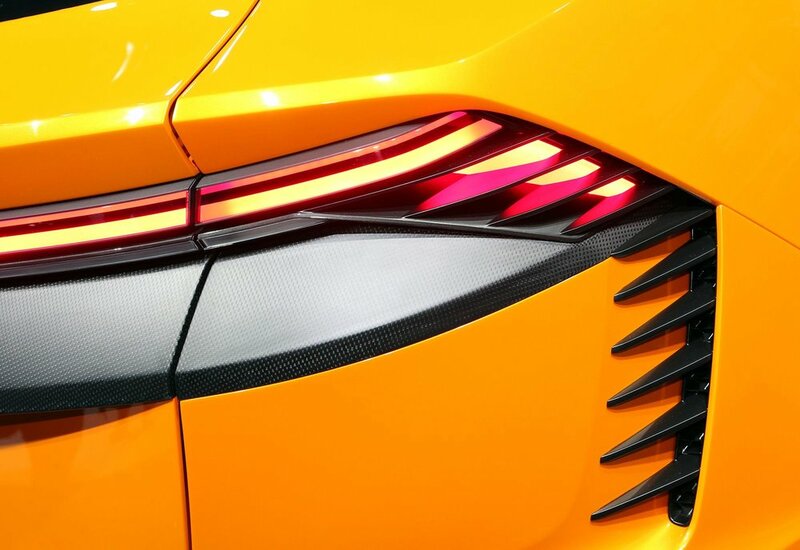 The flat, wedge-shaped headlights are integrated into the front end and, from a design perspective, are connected with the adjoining air inlets. The individual light elements have a glass cover, but the entire headlight units are not enclosed. An x-shaped, blue laser light signature ‘accentuates’ the digital Matrix laser technology used for the low and high beams. The doors have no window frames and are opened using touch elements: as soon as the sensors in the Audi rings on the B or C pillar are touched, the door pops open. A flat and wide C-pillar is reminiscent of the original Audi quattro from the 1980s, as are the ‘strongly flared shoulders’ over the wheels. 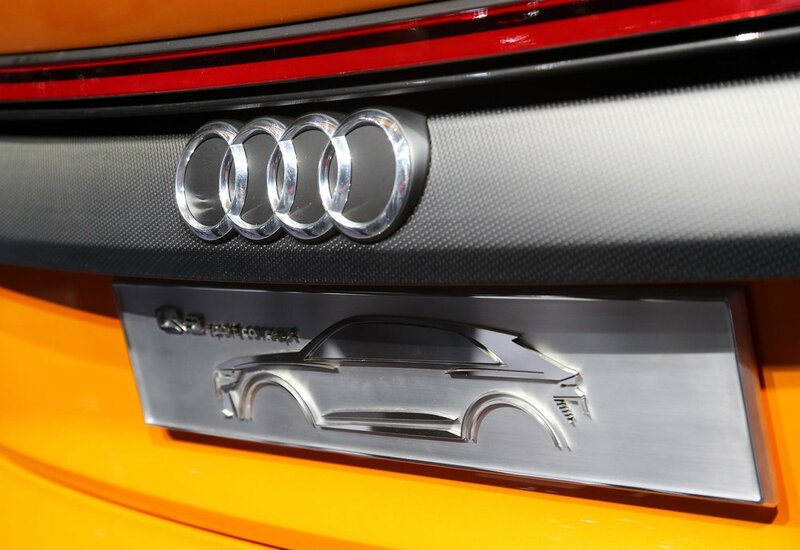 A new operating concept is described by Audi as ’ground-breaking’. Information and commands are passed primarily through touch displays augmented by the Audi virtual cockpit future and a contact-analogue head-up display. All displays feature a new “digital design” that concentrates systematically on only the most important things. The contact-analogue head-up display projects important displays onto the windshield in the driver’s direct field of view, seemingly placing them in the real environment. A navigation arrow, for example, appears in the same position as an actual arrow on the road - an application of augmented reality.